The term TMJ is an abbreviation for temporomandibular joint. The temporomandibular joint is the joint formed by the articulation of the lower jaw with the skull. “TMJ” refers to the joint and we have one on each side. Over the years, the term TMJ has developed into a misunderstood yet commonly used acronym that has come to represent nearly all undiagnosed and painful maladies of the face, head, neck and jaws. In the last few years there has been an effort to change the acronym to TMD, meaning Temporomandibular Joint Disease. TMD can be broken down into two fundamental conditions. The first is a muscular disorder where symptoms and jaw dysfunction are a result of muscular spasm in the muscles of jaw function. This condition is more precisely described as myofascial pain dysfunction or MPD. The second condition is an anatomical disorder whose symptoms and dysfunction result from anatomical dysfunction of the temporomandibular joint (TMJ). This form of TMD results from a failure of the gears or parts of the joint to work smoothly or in harmony with one another. The medical community has named this problem Internal Derangement. It would seem easy for someone to figure whether they were suffering from MPD or Internal Derangement. Surprisingly, this is not always so. Both conditions present with similar symptoms which may include but are not limited to: jaw pain, difficulty with jaw opening, earaches, headaches, pain behind the eyes, jaw joint popping and clicking, dizziness, and difficulty chewing food or closing your teeth together. Already you can begin to see the dilemma facing the misinformed patient and doctor. We have at least two different conditions that the patient and some doctors have lumped into the single term TMJ or TMD. Two patients claiming to have TMJ may have very similar clinical signs and symptoms, but they may present with very different physical conditions. To complicate matters, the two conditions often require different modalities of treatment (Figure 2). All of these are aids in establishing a diagnosis and sometimes assist in treatment. A patient responding to the use of bite splints, muscle relaxants and physical therapy is likely to be suffering from the muscular disorder MPD. A patient with Internal Derangement will sometimes receive relief from his/her symptoms with these simple and conservative measures. On the other hand, a patient not responding to these treatment measures may be suffering from a more severe case of Internal Derangement, which may require more sophisticated diagnostic measures such as x-rays and/or MRI. In the event that the patient continues to suffer from disabling pain and dysfunction, the doctor may suggest a surgical approach. All of us are born with a natural cushion built into most of the joints in our body for the purpose of absorbing shock. This cushion called a meniscus or disc, when injured, can be a source of mechanical failure in all joints. The temporomandibular joint (TMJ) is no different and is even more complex than most other human joints. We are capable of virtually unhinging the joint at its usual point of rest in order to move our jaws from side to side or to open our mouth wider. This complex movement during function requires that the disc move smoothly to maintain its protective position. It is not uncommon for the disc to become damaged or displaced. As the disc is damaged or slips from its original position, the individual may experience clicking in the joint as well as joint locking. This condition often becomes painful due to sensitive tissues becoming inflamed and swollen. In addition, nerves associated with these tissues are capable of referring pain to areas away from the original site of the injury. Symptoms such as earaches and headaches may result. Arthroscopic Surgery – A procedure performed through a small instrument with a tiny camera attached. The operator may merely loosen some stickiness in the joint or in some cases reposition a displaced disc with the assistance of a laser and operative or surgical arthroscopic techniques. Open Arthroplasty – A procedure performed by making an incision most often in a skin crease in front of the ear. This procedure is aimed at repairing or repositioning a displaced disc but sometimes can result in disc removal (menisectomy). If a disc is removed there are many techniques used today to attempt replacement. Total Joint Replacement – A procedure performed by sometimes making two incisions, one in front of the ear as in open arthroplasty and one just under the angle of the jaw. This procedure is reserved for more severe and chronic conditions that will not respond to other surgical treatment modalities. 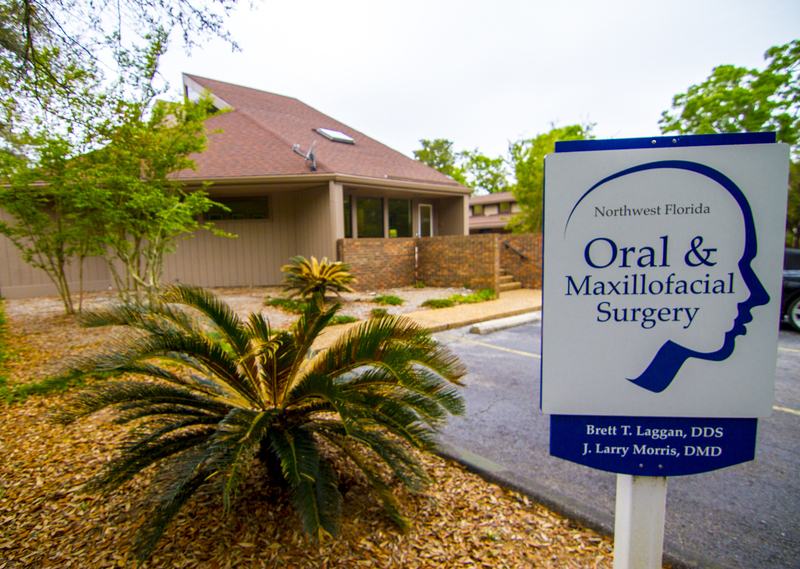 The decision as to which of the above procedures the patient requires is made by the oral and maxillofacial surgeon. Some of these decisions cannot be concluded until the surgeon has observed the existing joint pathology in the operating room. Surgery of the TMJ is almost always performed in an operating room as an ambulatory procedure. It is rare that patients require an overnight hospital stay unless it is a more complicated procedure or medical evaluation dictates. Most patients will easily return to work in three to five days and suffer only moderate discomfort in the post-operative period. All are restricted to a soft diet for six to eight weeks. Temporomandibular joint surgery usually results in a restoration of joint function as well as an increase in overall patient comfort. However, as with all medical treatments, the outcome of surgery is dependent upon proper patient selection, proper surgical technique, and appropriate post-surgical follow-up. It is important to emphasize that surgery alone is not a cure for this form of TMD and that physical therapy and close monitoring of the dental occlusion (bite) are imperative in all cases. A team approach is necessary. If you have further questions regarding this condition or wish to consult with us further, do not hesitate to call for a consultation appointment.